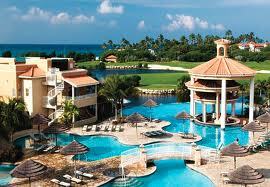 A tropical golfer's dream vacation! This resort offers a picturesque 9-hole course and a golf training facility. Divi Village Golf and Beach Resort is just steps away from the warm sandy beaches and is sheltered in a tropically landscaped garden.